Refuelling with DriveNow in Brussels- earn driving minutes! However, if your tank does happen to be less than 25% full at the beginning of your trip, or falls below this level during your journey, you get to benefit! In this case, every customer who refuels in one of our partner petrol stations and drops off the car with more than 90% in the tank will be credited with 20 bonus minutes (valid for 2 months). 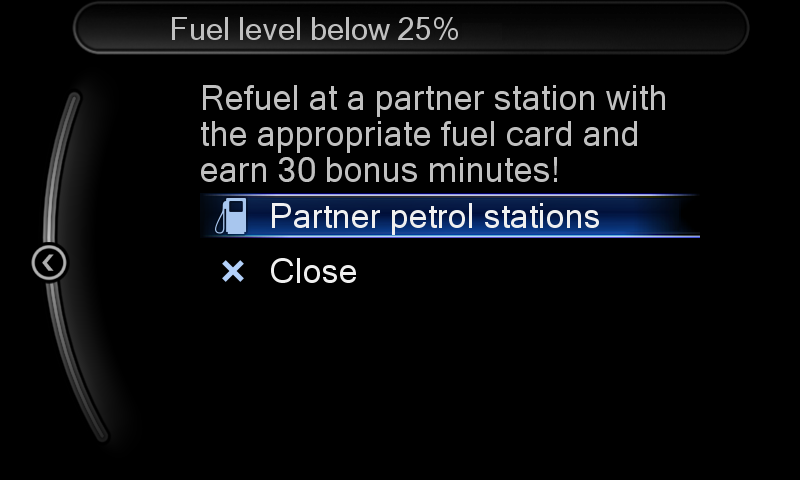 All available Total petrol stations will be displayed on the display in your car when you select "Special points of interest" from the menu. Or find all of the partner fuel stations here. Select "Refuel" and take note of the fuel card PIN, which you'll need when you pay.